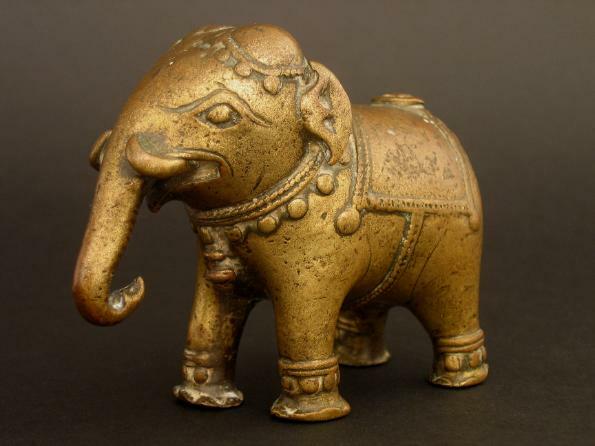 This hollow-cast bronze elephant standing solidly on four feet, with cast saddle cloth, naturalistic curling trunk and tusks, and ceremonial ornaments around the head, neck and ankles probably was part of some larger ornament such as a fountain or oil lamp. The back of the right rear leg has a rectangular inlet. 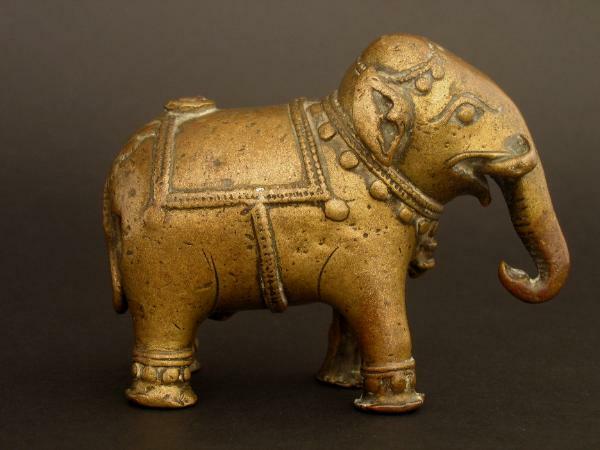 a comparable but larger elephant is in Bonhams, ‘Islamic and Indian Art’, October 16, 2003, lot 378.